With 30 years in the business, the team at Bob’s Door Service are experts at installing and repairing garage doors for residential and commercial clients. Our highly-skilled technicians are dedicated to providing our clients with professional, courteous services at a fair price. We also offer 24-hour emergency services in addition to 10% off service calls on Tuesdays. We sell garage doors for residential and commercial clients. We proudly sell and service Steel-Craft Doors and Lift Master openers. We offer competitive pricing on all products and services. Our professionally trained staff provides garage door installations single-family homes to high-end luxury homes. We also install doors at new construction sites and commercial sites. We offer a 1-year warranty on installations. We have 24-hour emergency repair service performed by industry-trained professionals. We service all types of models of doors and openers and offer a warranty on all repairs provided. A 10% discount is given for all garage service calls on Tuesdays. We offer services for commercial and residential gate systems, including gated communities, homes, apartment communities, truck door, mall entrance doors, fire roll shutters and rolling steal industrial doors, dock seals and bumpers. An industry-trained professional will come to your home or place of business to discuss your needs. We will guide you step-by-step through the entire process along with professional advice regarding style and budget. We provide you with a detailed quote so you’re aware of every cost involved in your project. Once you agree to the quote, the order is finalized, and a deposit is required for certain specialty projects. After a date and time is scheduled, we start work on your project. We are happy to work around your schedule and any specific needs to complete the job properly. After the job is done, final payment is required. Why choose us over other garage door providers? Our team is dedicated to providing high-quality services to both residential and commercial customers. Our professional and courteous staff is available to service, install, or repair garage doors at your request. We only offer the best products available in the industry, including Canadian-made Steel-Craft Door Products and Lift Master openers. We work with all our customers to offer them the best products at the best possible price. Our quotes are prepared with your budget in mind. We offer a 1-year warranty on installations and services. We feature Canadian-made Steel-Craft Doors that come with a 15-year warranty. Our 24-hour emergency service helps you get unstuck and on your way. We service all types of models and doors for added convenience. Contact us anytime for emergency repair and services. Our industry-trained service professionals are on call and ready to help. Our longevity in this business shows in our ability to assist any customer for all their garage door and gate system needs. Want to know how our clients have to say about us? Scroll through the testimonials below to see firsthand our dedication to providing excellent service. Professional service with fair prices. Highly recommend Bob and his crew! Great community supporters. Thank you again Bob's Doors for supporting SOWINS and our Lip Sync Challenge! Speedy, excellent customer service and very knowledgable!!!!! I would strongly recommend this company!!! Bob provided a fair quote and was great to work with. When it came time to install my shop doors, his crew had a great attitude and worked late. Great work and excellent service. Our garage door broke on a Saturday and needed helpasap. We made a few calls to some other businesses and got no response. Then, we called Bob. He was fast, polite and got the job done. Amazing and fast service. Called them on Friday at 12:30 that the door spring had broken, and had the door fixed by 2:15. Great service and a great guy! I was totally impressed and satisfied with the service I received. He went out of his way to help me and his response was immediate. Would not deal with anyone else. Penticton-born Owner Bob Swetlikoe has been a professional garage door installer, repairman, and technician for 30 years. He only hires trained and courteous professionals to work on his team. 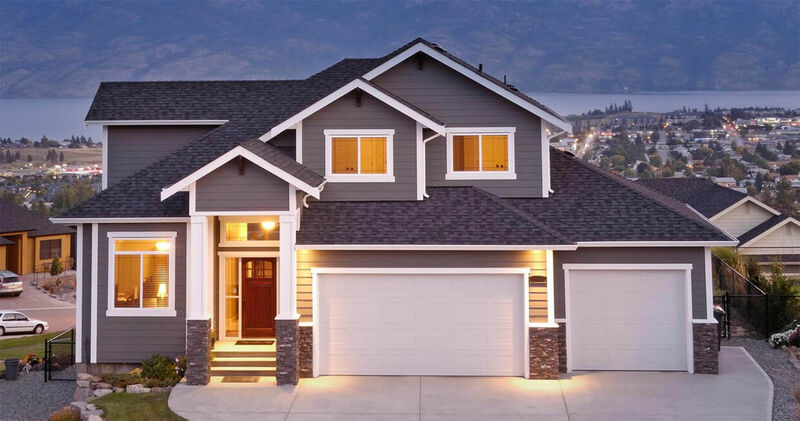 We provide garage door and gate system sales, service, repairs and installations throughout the Okanagan Valley, Boundary Country, and Similkameen Valley.